So you think you can crew? The runner does all of the work. Right? All you need to do is be there for the race and once in a while act like you are interested. Right? A solid crew can make or break an ultra race. They can push a runner through dark spots or they can realize when a runner is in danger and help make the call to pull them from a race safely. Crewing simply put though, is hard work. Below is a list that I consider to be vital to being a solid crew. Be there for the right reasons – When you are a crew for an ultra runner you should want to be there to support the runner, to help them finish, and to see the joy THEY have at the finish line. You really should become invisible at this point. The day should be about your runner. If they want to thank you in front of people, great. If not, smile and revel in their big day. Act like you love it (even when you don’t) – This goes a long way not only for your runner, but for you as well. Study after study shows that people who think and act happy actually become happy. Ya know, fake it till ya make it. Your runner will thank you and so will all the other crew members and volunteers around you. Don’t be the snotty crew everyone talks about after the race. Maps – If you aren’t where you are supposed to be your runner suffers. Know ahead of time where the crew stations are. How you will get there. How long it will take. Have it mapped, and have directions ready at all times. Don’t scramble – If they see stress, they get stressed. Get to places ahead of time. 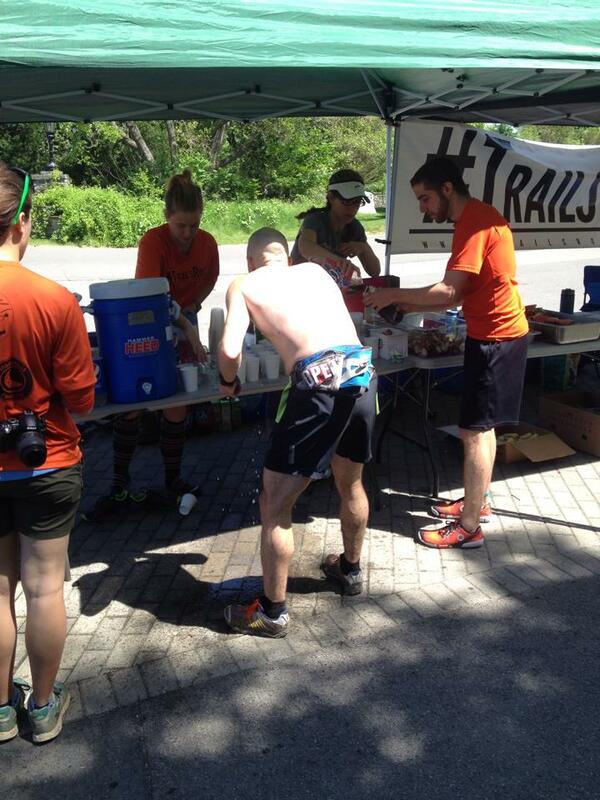 When your runner arrives you should not be running to the aid station and trying to get everything they need. Have it set up and have it ready. Communicate ahead of time where you will be so they can easily find you. This is even more important if you are crewing in the overnight hours of an ultra. Pay attention – Your runner needs to focus on running – They will get “ultra brain” at some point. Be prepared to know if they need different shoes, a band-aid – 2-toms – sock changes etc. Then be prepared to help. Just take control of the aid stations in a well thought out well organized way. Be prepared to get dirty – And wet – And gross. 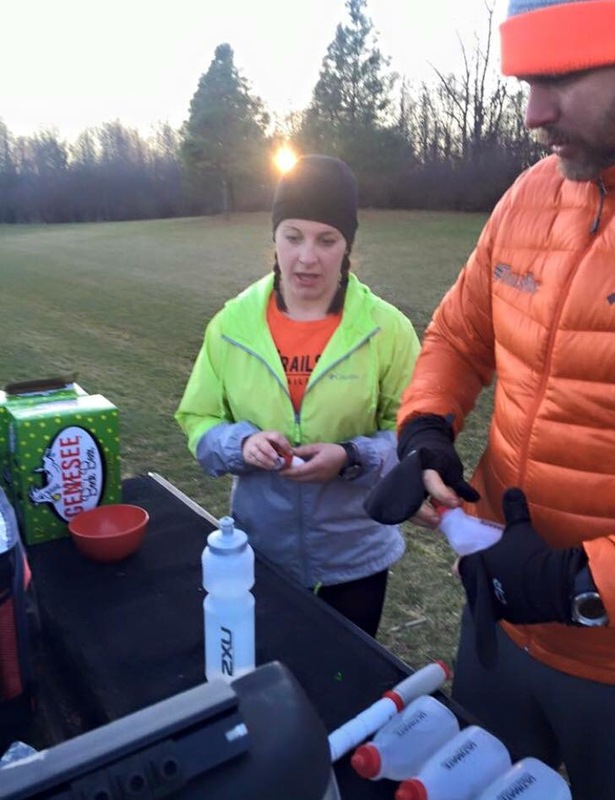 Some aid stations might be remote. They might be in the mud they might be up a long climb and the weather might be challenging. Remember points 1, 2, 3, and 4? They become pretty important here. You also might be helping change shoes and socks – Just get right in there. Take photos – If you have time (and if you do the above, you should) grab some course photos, some aid station photos and some shots of your runner coming and going, they will appreciate it and you can revisit the race later on! Give a lot of thanks to aid station volunteers. – If you weren’t there for your runner, they would be the only ones keeping them going. They will be the crew for dozens if not hundreds of strangers the entire course of the race. Give them some thanks when you head in and out of their station. Do not break the rules. Imagine crewing all day, watching your runner come in to mile 50 to celebrate, only to learn they have been DQ’d because of something you did wrong. Pay attention to rules. Parking, private land, where on the course you can be, etc. It’s important. Know when enough is enough – Be clear before the race on when and how you should pull your runner. Some ultra runners are so focused on the finish they can actually put themselves in danger. Learn the signs of dehydration, hypothermia, injury, etc. When the decision is made, be smart, but also firm. Learn from others – I consider myself an expert at this, but at every race someone is doing something I have learned from. Take note of the different ways people do things, and if it works for you and your runner, use it.